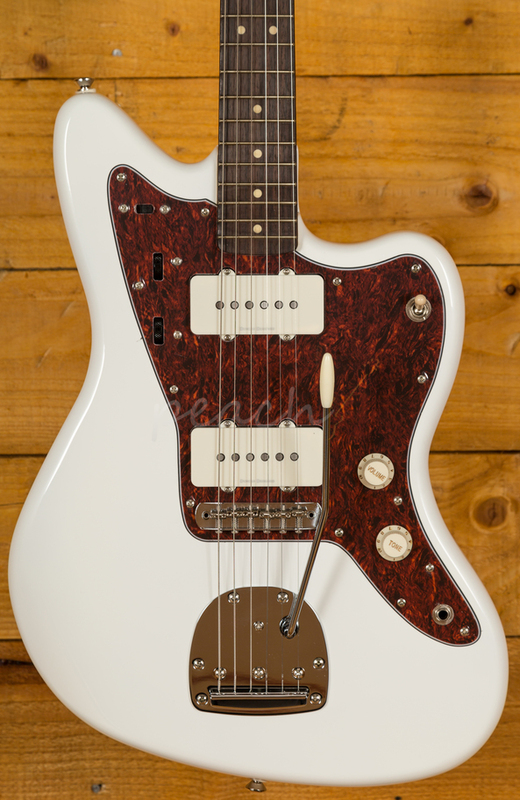 The Fender Jazzmaster is the jewel in the Fender Offset crown, a real player's favourite; it has been a staple in the roster for over 50 years. 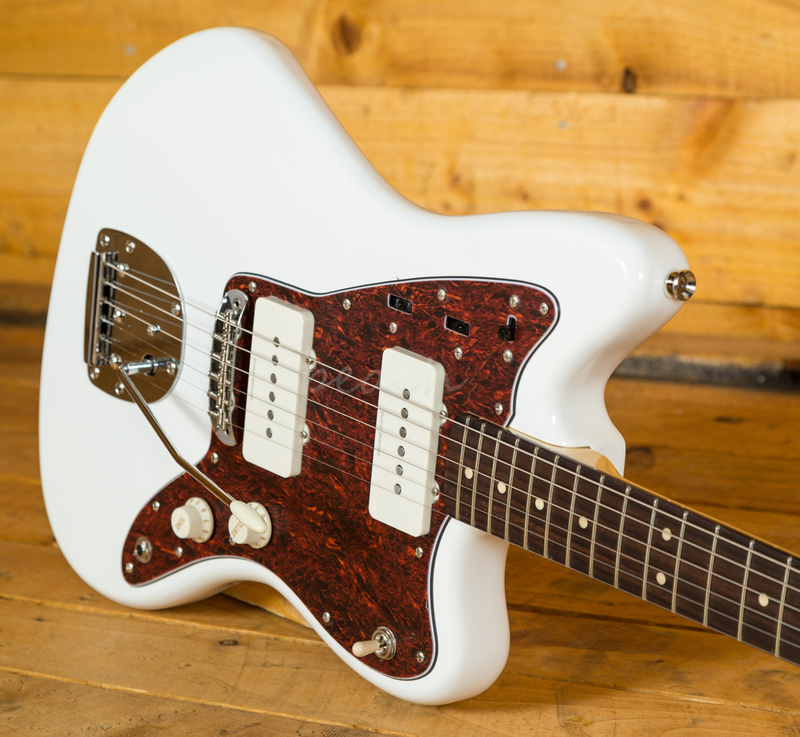 Thanks to the incredible Squier Vintage Modified range, you can now get the same vintage vibe and stellar offset design but at an entry level price point. 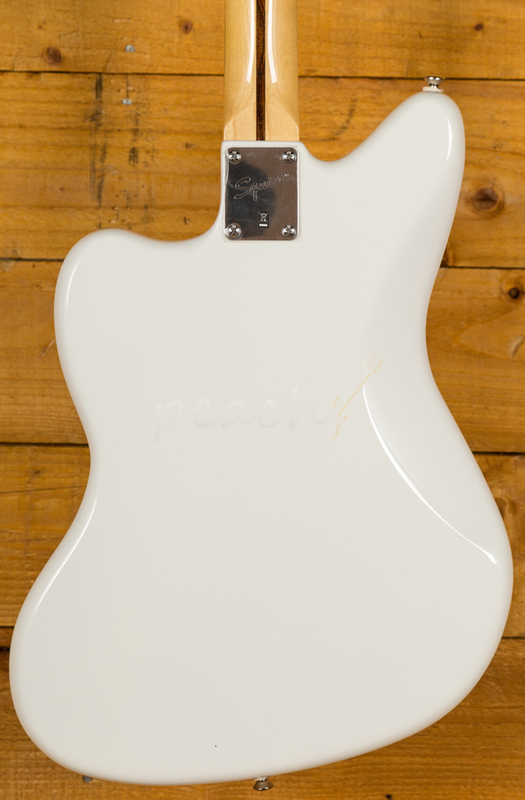 With the same sweeping curves, the basswood body is finished in a lush Olympic White, it's vibrant, rich and will appeal to both the surfers and the grungers! 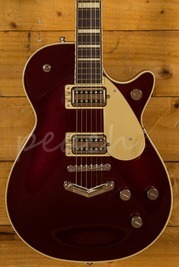 Loaded with a pair of Duncan designed JM-101 single coil Jazzmaster pickups, you can get that classic clean twang or really push it for the ultimate rock machine. 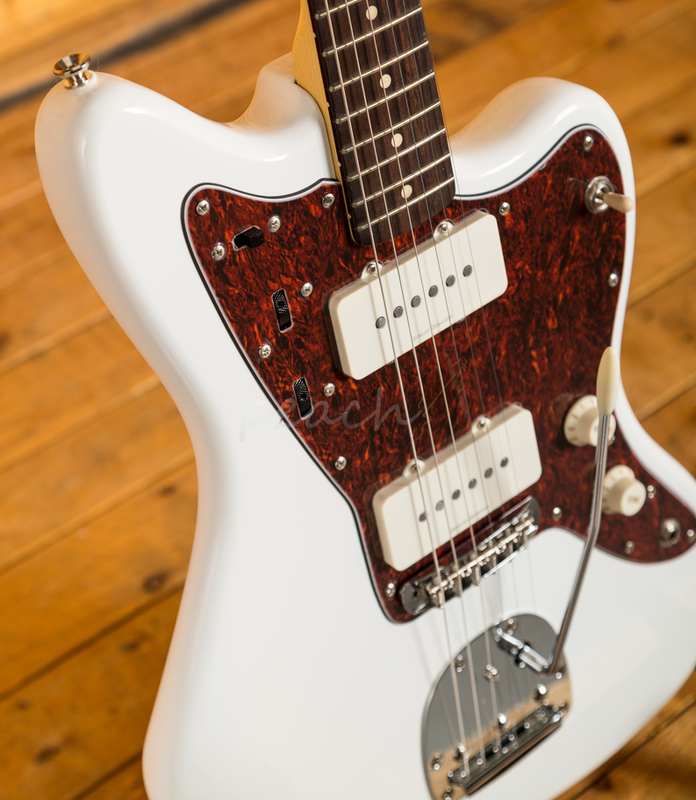 The Jazzmaster dual circuit design allows you to separate your tone into lead and rhythm and utilise their own volume and tone controls. 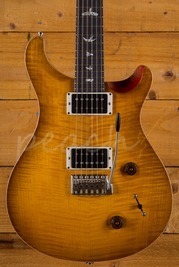 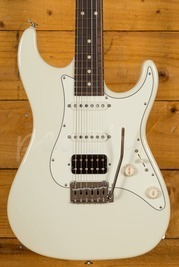 The Maple neck boasts a C shape profile, 25.5" scale length, 9.5" radius and 21 medium jumbo frets. 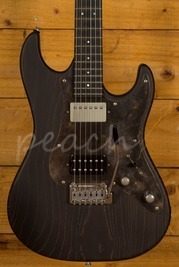 It's super comfortable and well balanced, and the fingerboard is a great platform for both brash chords and slinky lead lines. A fitting tribute to the Jazzmaster, this guitar punches well above its price point and delivers quality normally seen on guitars twice this price! 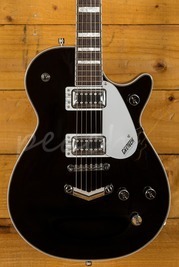 If you dig offset design, this is the one for you!